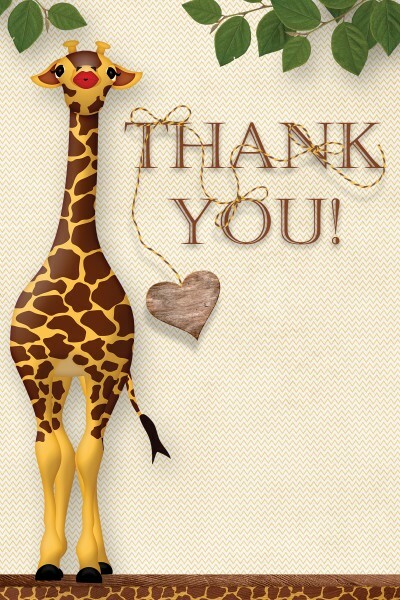 Hey all – today I’m looking for a little bit of input and help from you all…. I’m having major photobook woes… We went on a dream-like, wonderful, awesome vacation last Fall – to Hawaii and California. Perfect Bliss. 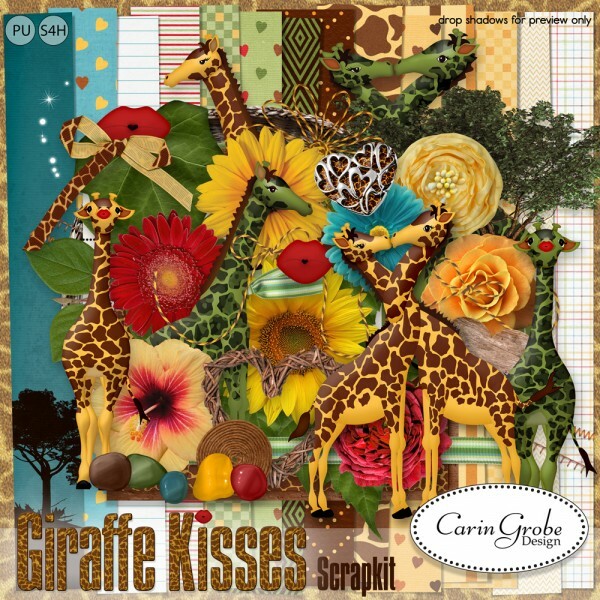 Use the photobook software from one of the printing companies and just do a picture book? The ones I’ve looked at so far don’t even offer the option to add a drop shadow to your pictures, BUT I’d have a book to look at out beautiful photos pretty fast. Or do my pages in PS with drop shadows but only a bare minimum of embellishments and a uniform background – not that fast, but prettier and I’d have the layered files in case I’ll ever decide to redo it? Or accept that it’s going to take me ages and ages (even using Manda’s power scrapping method) and have a perfect book in the end (whenever that may be)? 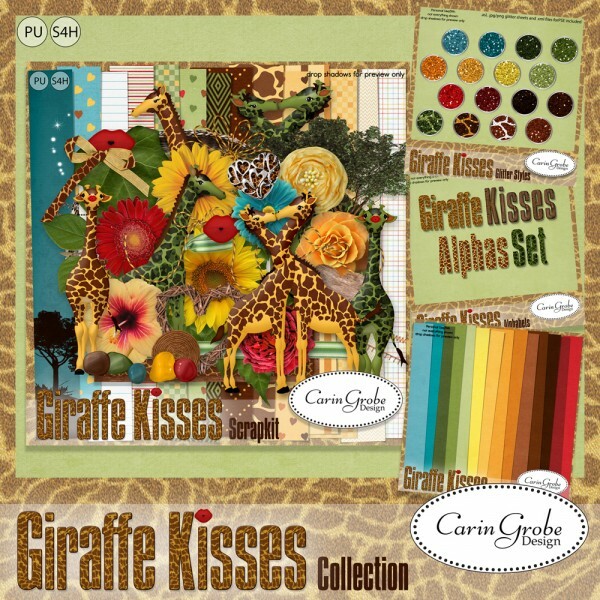 Here’s a little something for you, a journal card created with my new collection “Giraffe Kisses”– click on image to download and enjoy! There are thousands of free quick pages created every day that you could use. And if you can afford it, thousands more in all the scrap shops. That would be the quickest way to do your book. You could also request free quick pages from the Studio participants, or any other forums you traverse. The scrap booking community is always willing to help a fellow scrapper. I had photos I wanted from a vacation this summer. I decided to just treat it as if it was a photo album, put into a book. I used snapfish, and uploaded my best photos, ones I wanted to show off or ones that had a funny story to go with them. I then chose the largest number of pages I could do for the format I chose. I then let snpafish auto fill them. After that i went back and rearranged some of them, and added a bit of description . I am waiting for a 70% off sale. Then i will print it. I realzie it isn’t perfect, or even that creative, but it does let me share our vacation with others, and at least it will be done. I was sort of the same way with one of my paper albums. i picked a few colors, a few embellishments, and then used them over in different patterns because i wanted to be able to show off our trip photos. if I waited to do it a lot nicer, they would still be waiting. Have you seen a great (free) photobook website – Mixbook? It is very user friendly. The site has tons of themes, layout ideas, backgrounds and embellishments that you can use to create your book or upload your own. Drop shadows can be added to your photos and many other options. You can order a book online too.